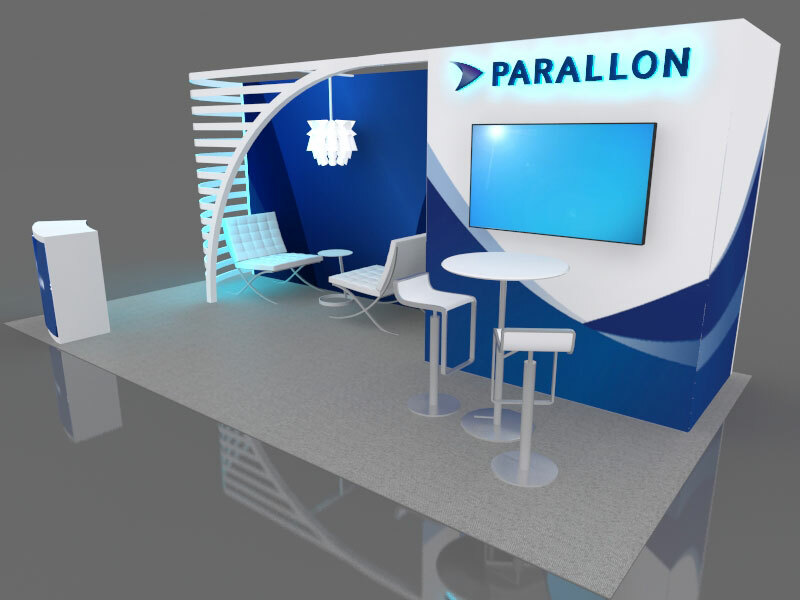 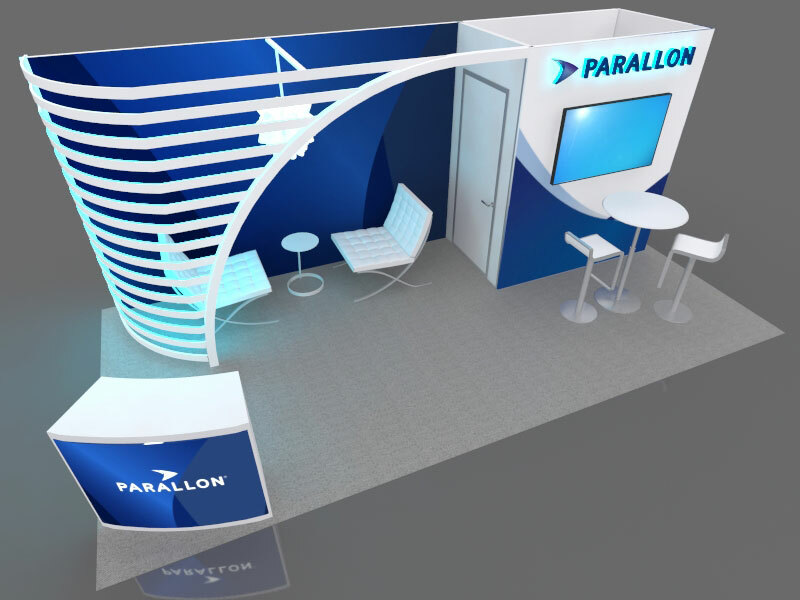 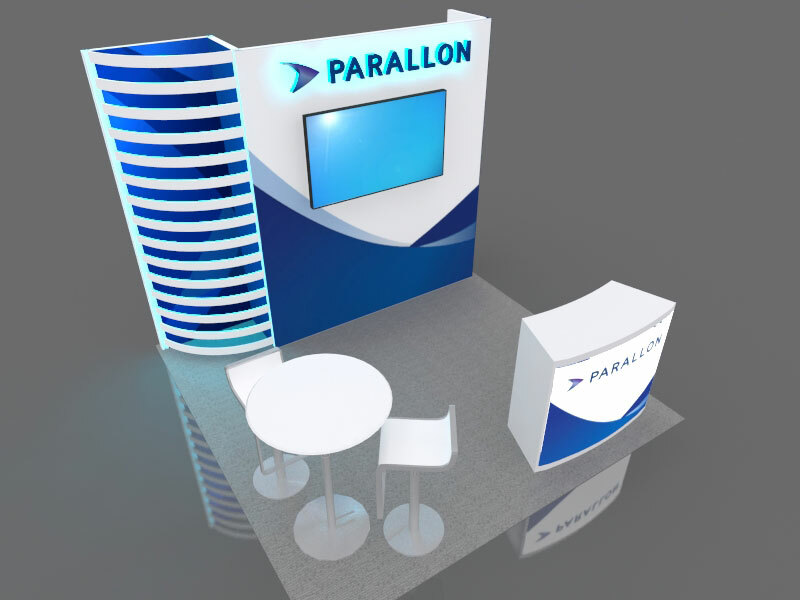 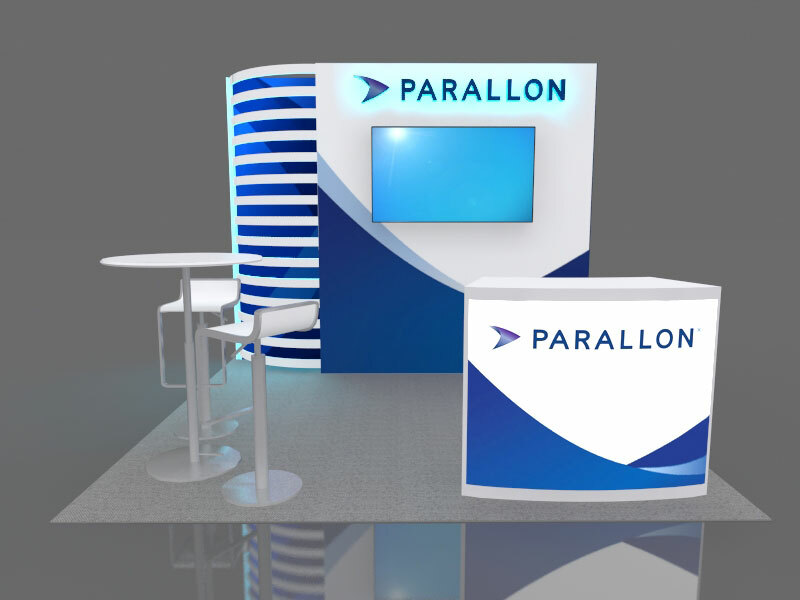 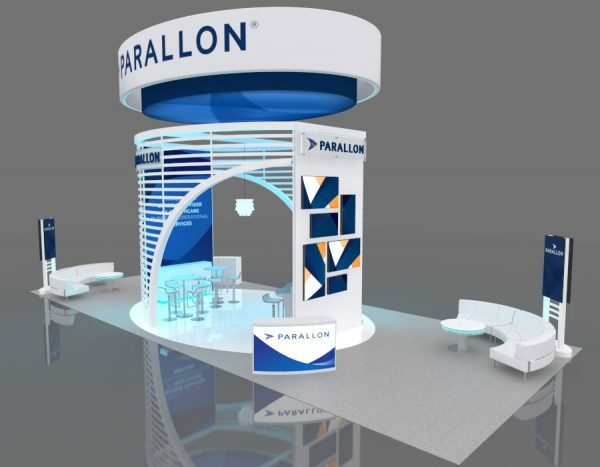 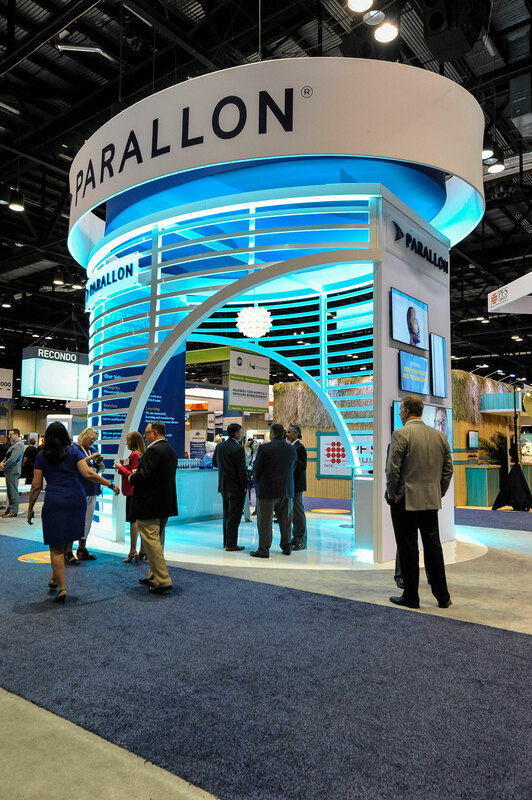 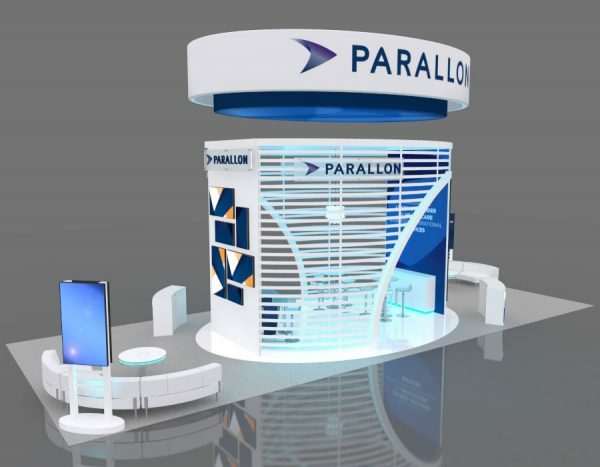 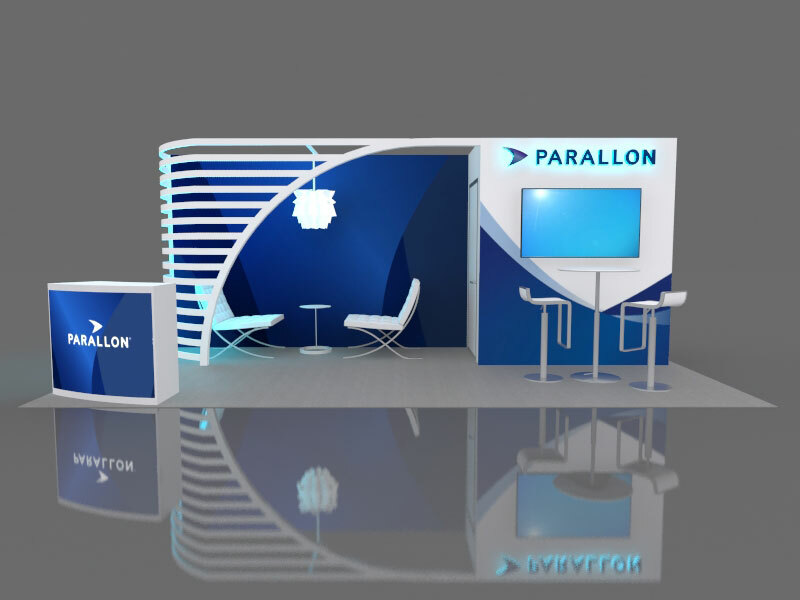 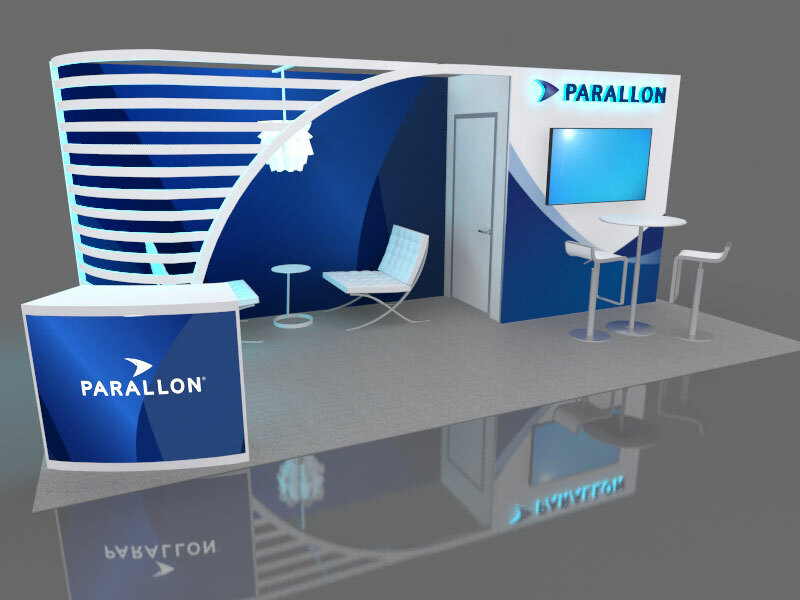 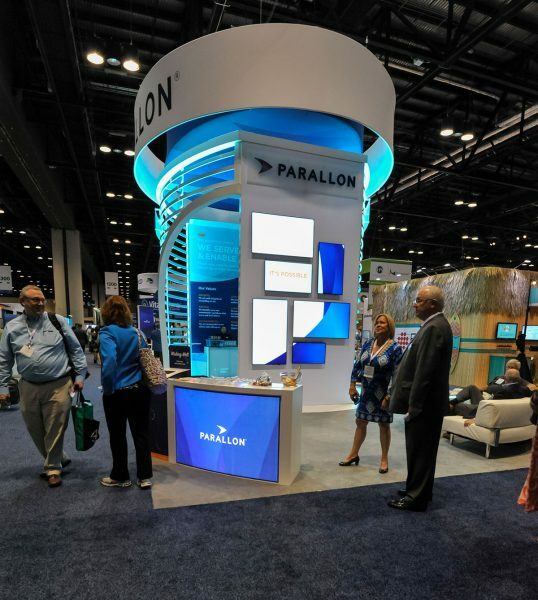 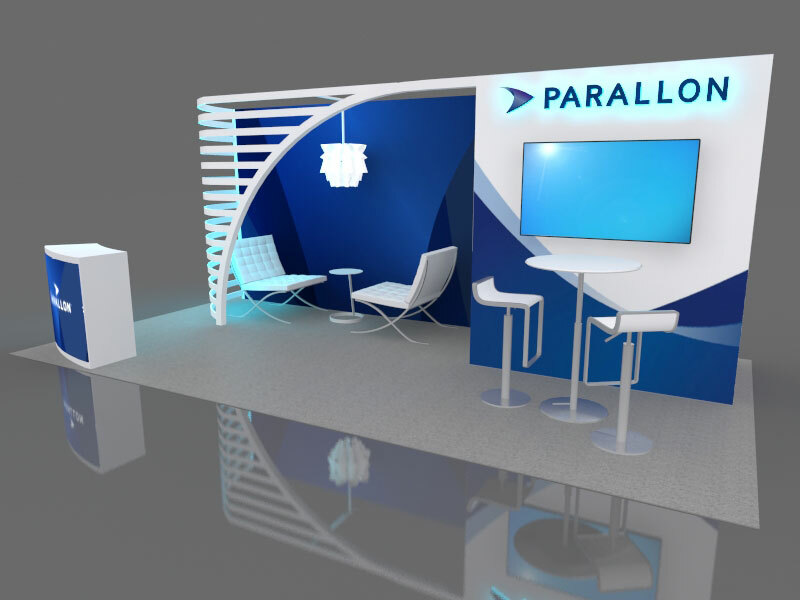 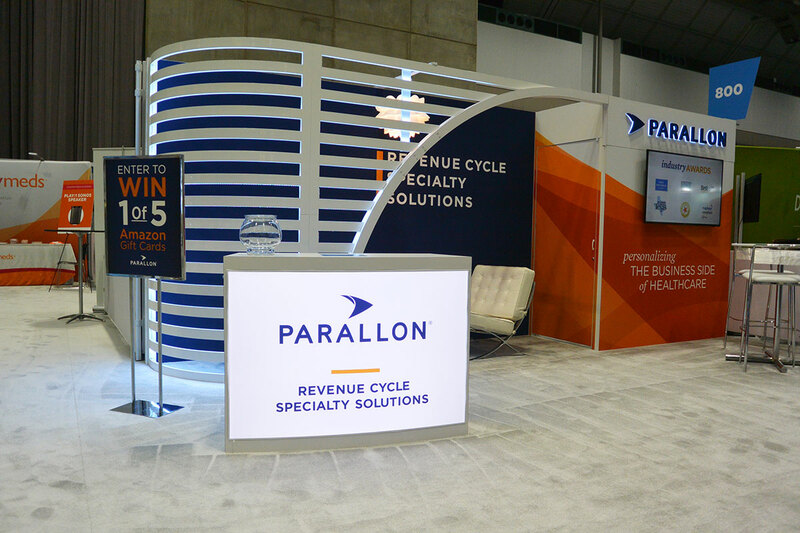 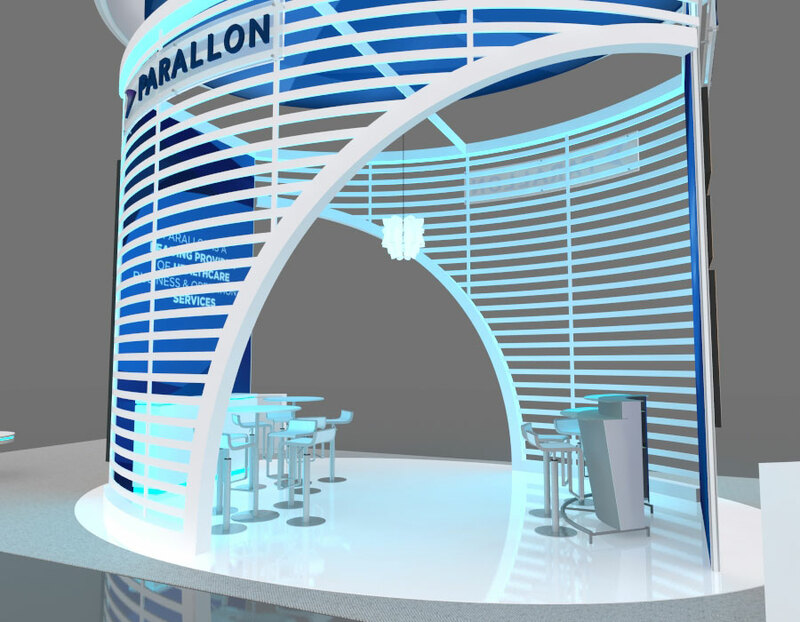 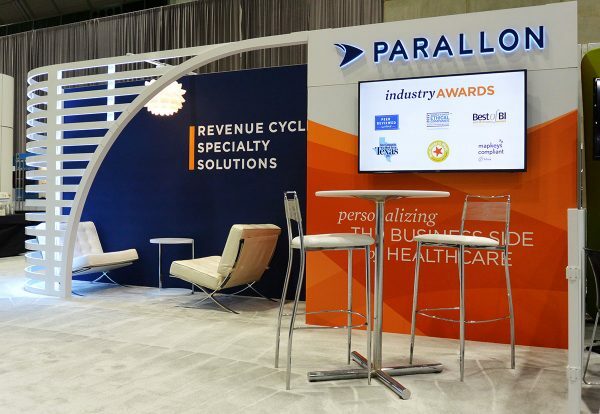 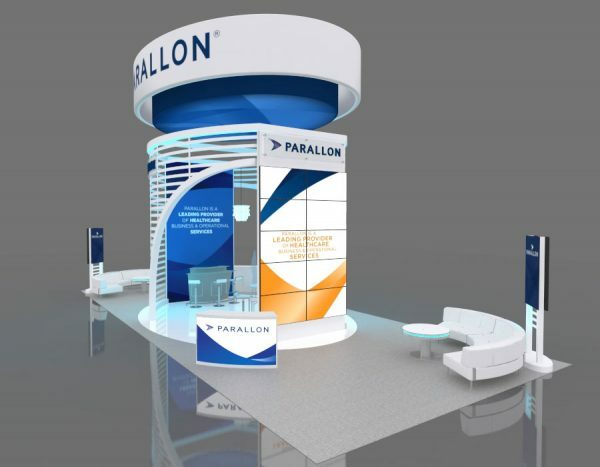 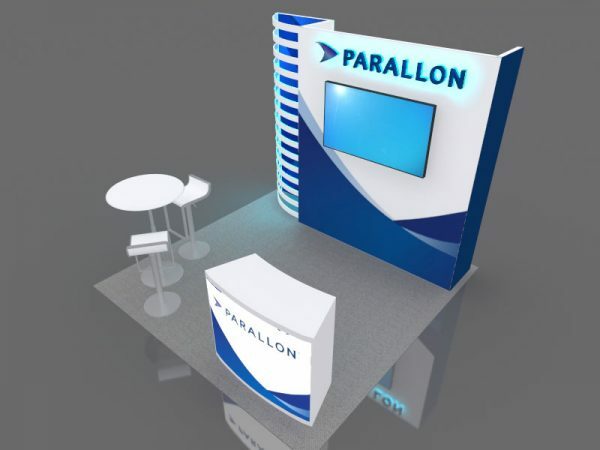 Parallon was looking for an open-concept design that would work in different sized booth spaces and also be utilized by their sister company, HealthTrust. 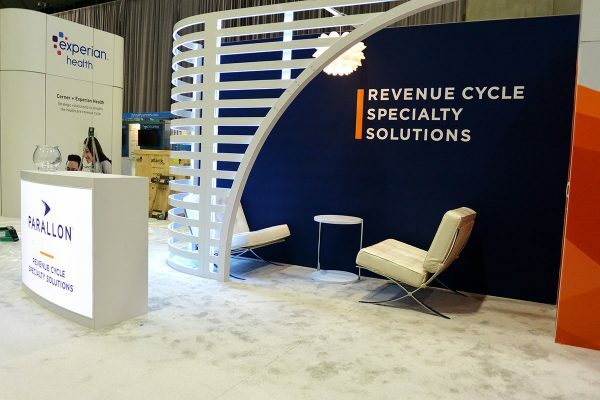 The client wanted their booth to impress on the show floor and utilize technology elements to easily rebrand between the two companies. 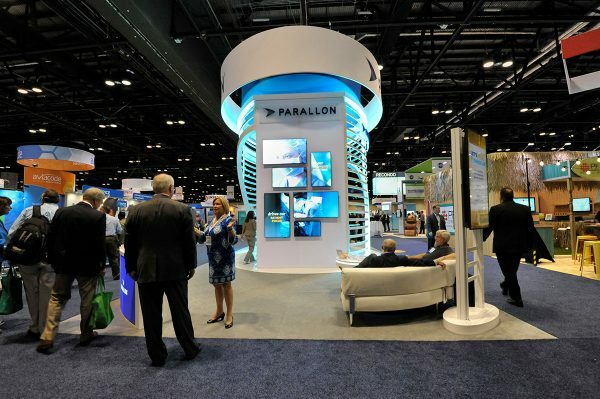 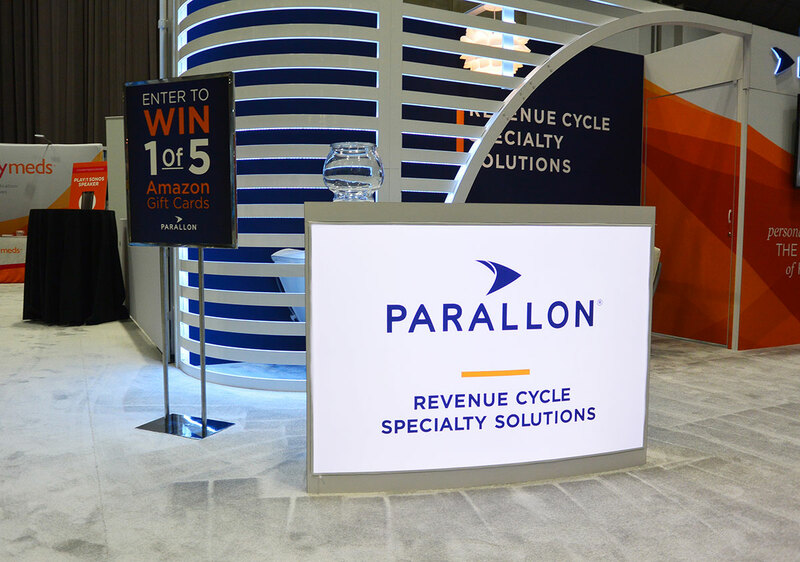 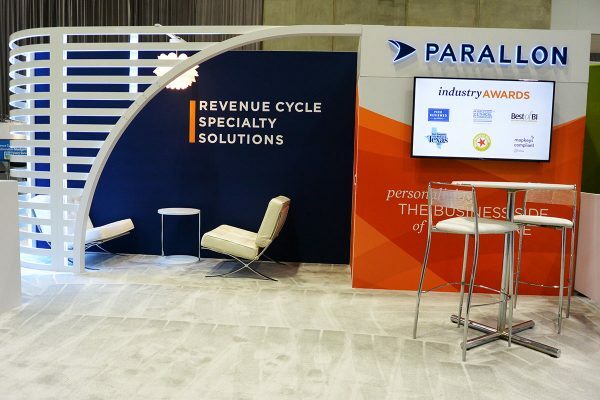 In addition, Parallon was seeking multiple conversation areas, an open space that would accommodate ever-changing engagement solutions, and overhead signage that could be seen from across the show hall. 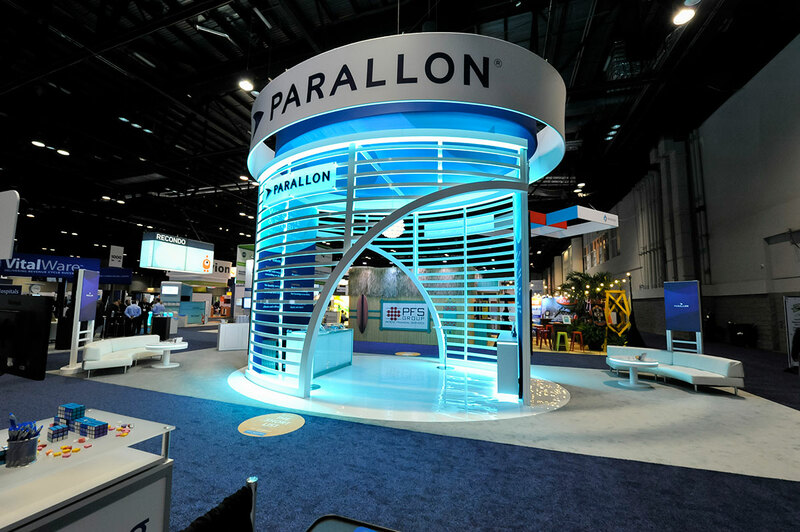 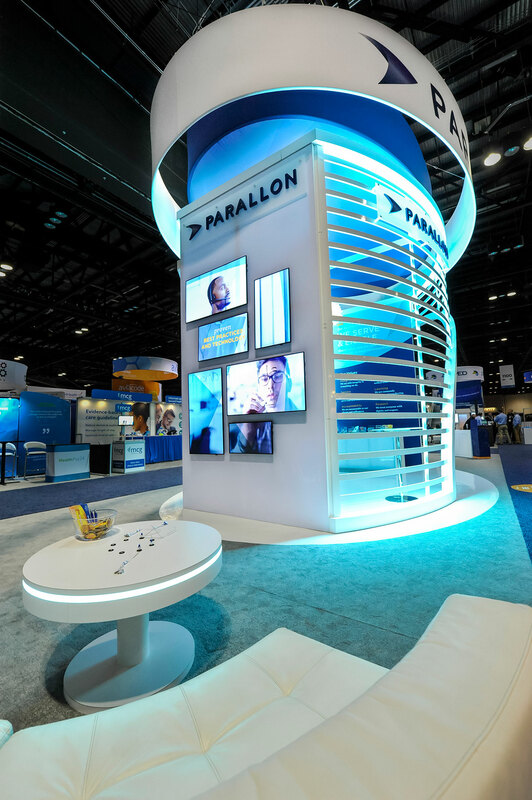 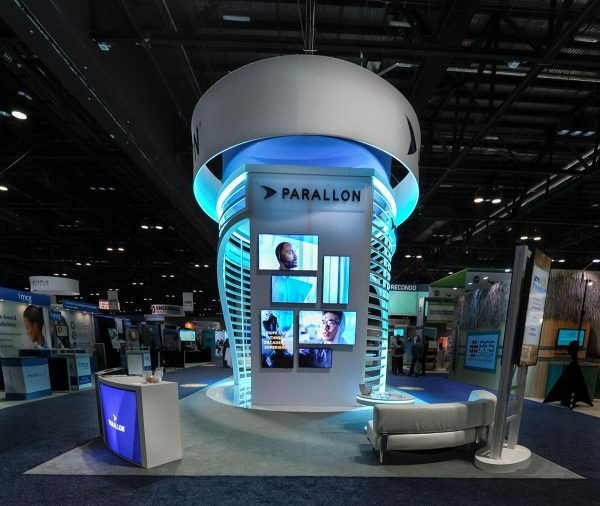 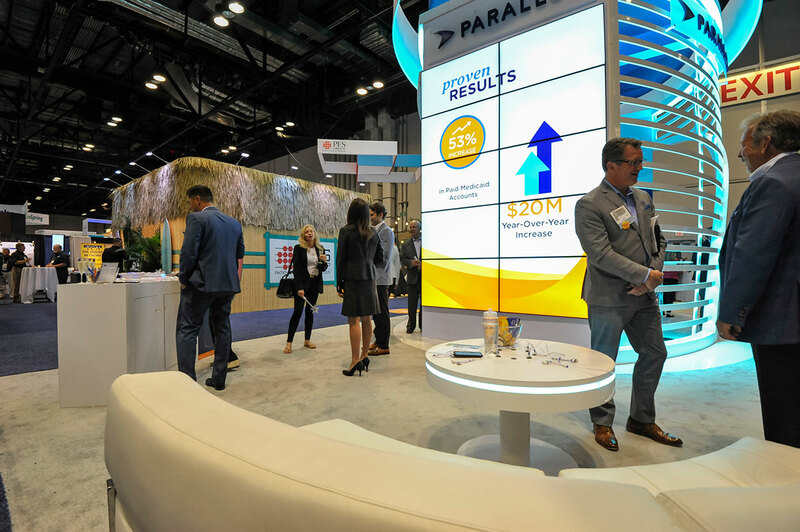 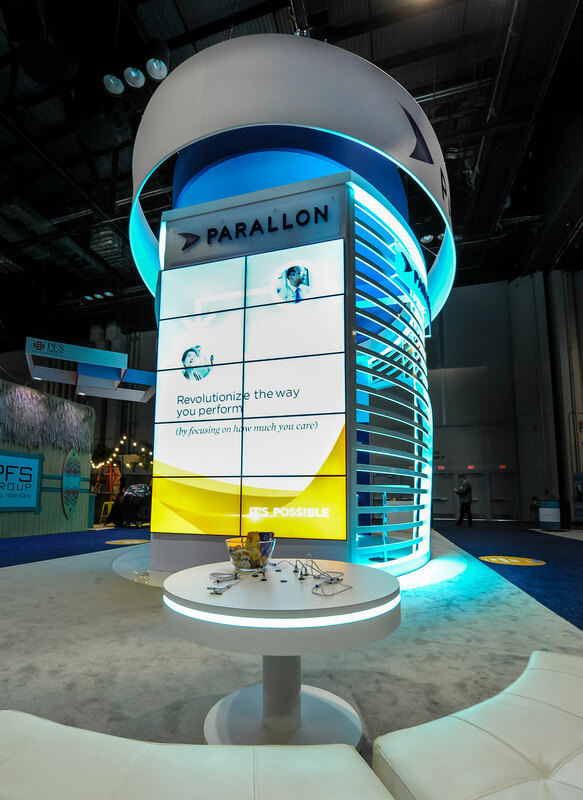 Astor Group worked alongside Parallon and HealthTrust to create a towering exhibit that featured a custom-shaped structure that successfully captures both clients’ brands. 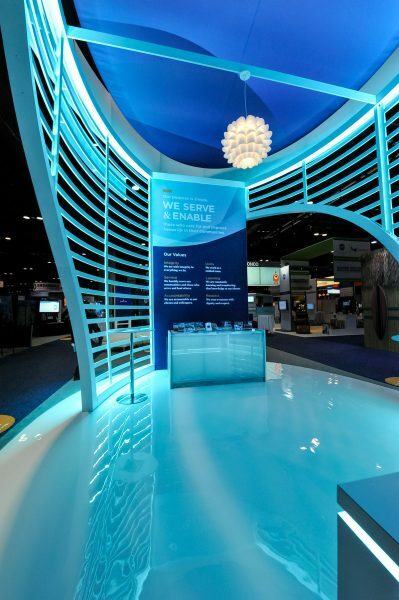 The exhibit showcases multiple captivating features, including lighting effects placed throughout the entire booth that can change colors, forward-thinking technology elements that may easily be rebranded, and large overhead elements that tie into the booth structure. 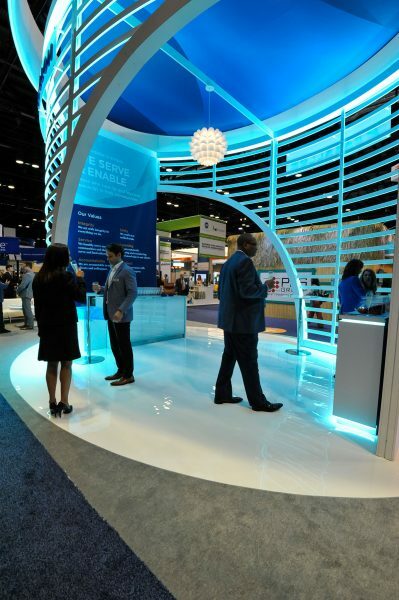 The slatted side walls create an interior space that remains open and creates an inviting space for people to come and go into the booth to participate in engagement solutions. The addition of outfacing monitor stands provide opportunities for marketing after-hour events and tailored messaging each day. Backlit outfacing counters allow for easy conversations with visitors entering the booth, and charging stations add a nice touch for the seated conversation areas. 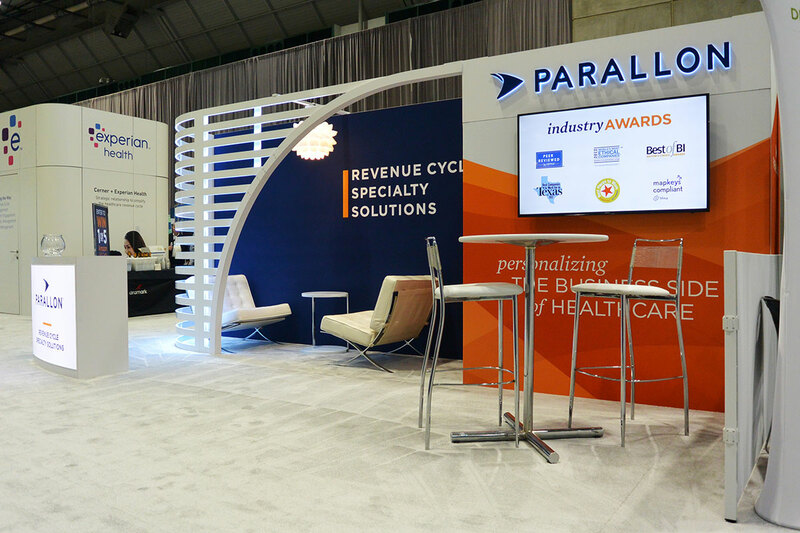 Overall, this booth was a home run for the client and is the belle of the ball at any show.